Tech Bridge Members – Turn Good Into Great! Hundreds of nonprofits trust Cause Inspired to deliver results every month. You can, too. Reach thousands of new people interested in your cause. Your events, fundraisers and initiatives through targeted ad campaigns. Expertly crafted ads drive many new users to your website. We meet Google highest AdWord and Analytics standards, so you can trust us to handle your grant like experts. 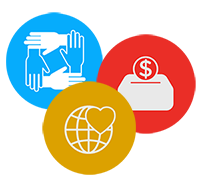 Our mission is to leverage the Google grant to turn your good into great, and nobody does it better. 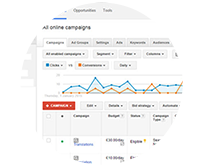 After you are approved for your Google AdGrants our experts will do a complete analysis on your organization as well as your online presence to create and maintain AdWord campaigns. Our experts with thoroughly get to know your organization, your goals and your needs, then we will create an AdWord campaign tailored to your needs. 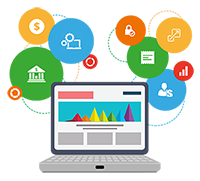 After your Ads have been create and your campaign set up we will start strategically running your Ads so that relevant users see your Ads. Our experts don’t just “set it and forget it”, we monitor your campaign, present reports to you and then make alterations to your campaign to make sure you are getting the most results from your grant money. The ongoing end product of all our hard work is increased exposure for your organization, new volunteers and more donations. All of this without having to spend a dime on AdWords!